Member of the creator and management team of Festa del Grafisme [Graphics festival] at Portbou. 2008 – present. Curator and designer of Red Card exhibition. Member of the Jury Panel in the Laus Design & Communication Awards 2012. Translator and promoter of the film Typeface. Member of the ADGFAD Board. 1994 – 1996. Papers of the Typoweek conference. – [English]: "Urgent Incorrect Typography Class". – [Spanish]: "Clase incorrecta de tipografía urgente". – [Catalan]: "Classe incorrecta de tipografia urgent". BAU ed. Barcelona, 2014. In print. 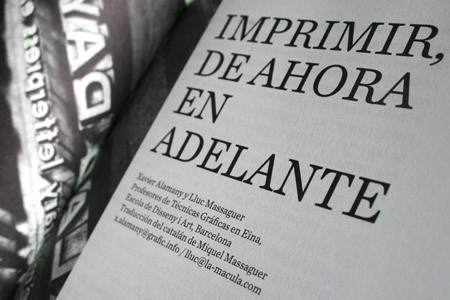 Special issue "Festa del Grafisme". 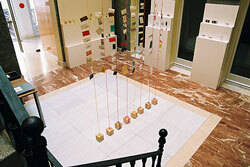 – "Imprimir, de ahora en adelante"
Curator and copy of the 2008 edition website.